Wet cleansing sheet is my beauty and hygiene savior! In this hot and humid atmosphere, my combination skin desperately needs something to freshen and clean up with. And I bring this Shiseido Perfect Cleansing Sheet everywhere because it can remove my makeup as well. Also, the packaging is considered smaller thus take less space in my bag. I've been using this only for around a month but I definitely will repurchase another. It's just, amazing! Usually I will spray this after I cleanse my face with cleansing wipes. I always bring travel size or sample size perfume so that I can stay fresh and smell nice without rummaging my makeup pouch. I usually bring eyebrow pencil and eyeliner. Just for the sake of quick fix. I'm lip addict! And carrying around only one lipstick will be a sin, so I usually bring 2-3 different lip shade just in case. Currently in love with L'OCCITANE Pevoine hand cream. It moisturizes my hand while spreading the soft-scented rose fragrance. 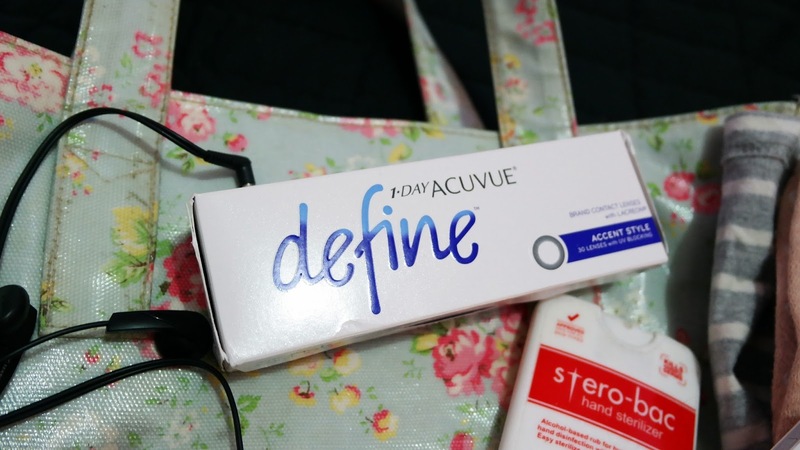 Last, but definitely not least, it's 1-DAY ACUVUE DEFINE. As you may read in my previous posts, I have minus, so I need contact lenses to live my life (LOL). I've been trying all of the three variants, from Natural Shine, Vivid Style, to Accent Style. But for this mudik journey, I choose Accent Style because it has the most natural look! Yes, every time I wear Accent Style, no one can tell that I'm using contact lenses. 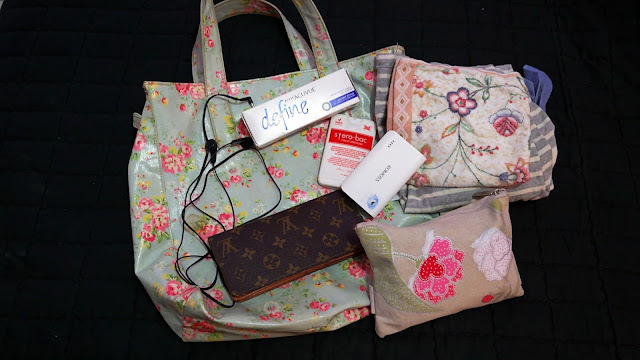 And you should know why I specifically mention 1-DAY ACUVUE DEFINE, lovelies. It's because I've been using it for the past 2 months and it never causes me any problem. I'd like to give you a real experience. 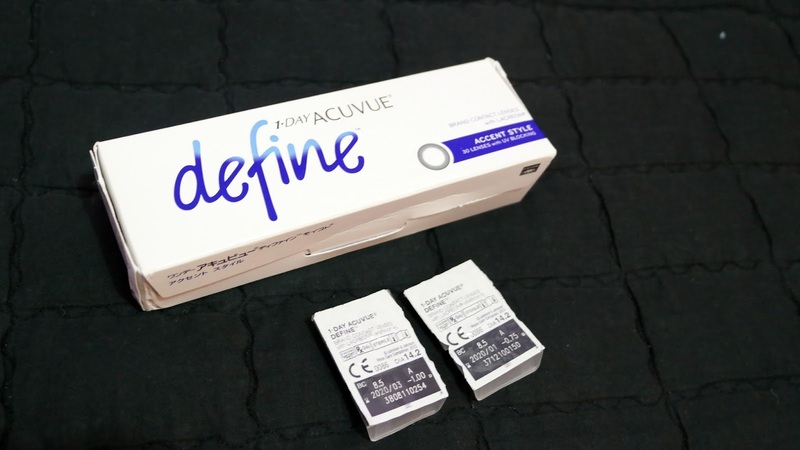 So I recently traveled to Tokyo, Japan for a week and during that trip I always wear 1-DAY ACUVUE DEFINE every single day. 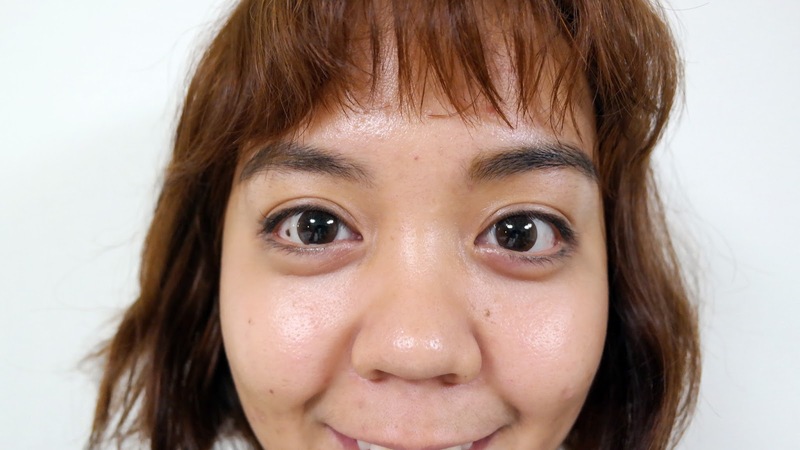 And here's my real picture after using 1-DAY ACUVUE DEFINE for all day. See? My hair is already messy and oily, and so does my face. But look at my both eyes, it's still clear with no trace of redness or irritation even after using it for nearly all day long. And yes, if I can wear it without no problem during traveling to other country, why don't I wear it for mudik as well? 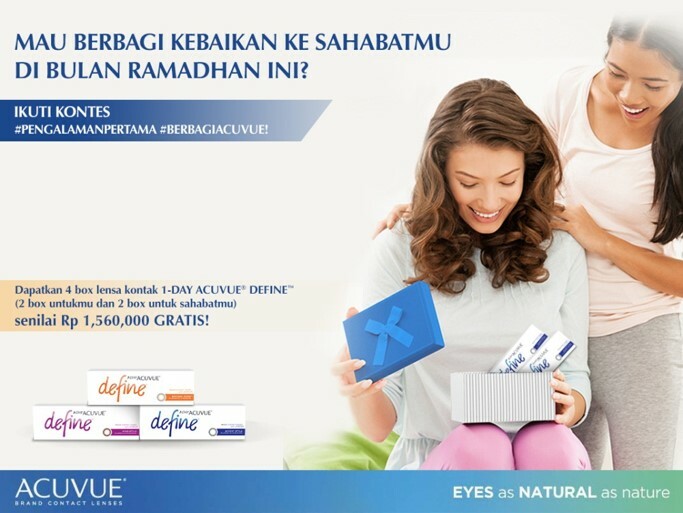 10 winners will receive 4 boxes of 30 pcs of 1-Day Acuvue Define each worth Rp 1,560,000.